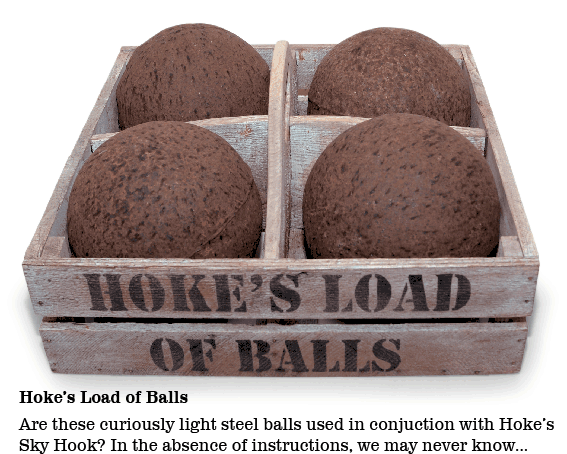 Category Archives: Hoke’s Tool Co. 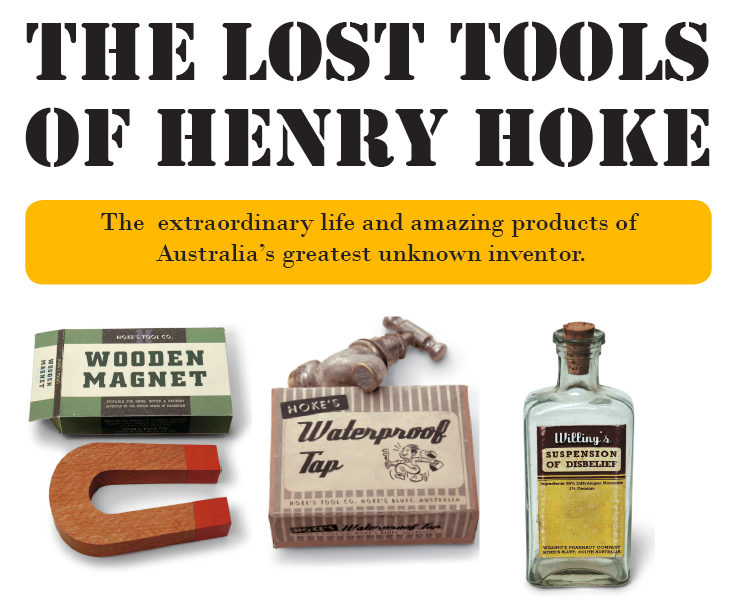 Recent research work by IBYS associates has thrown more light on Australian Inventor Henry Hoke’s “missing years” which currently seem to be fairly elastic – they could have taken up most of his life. 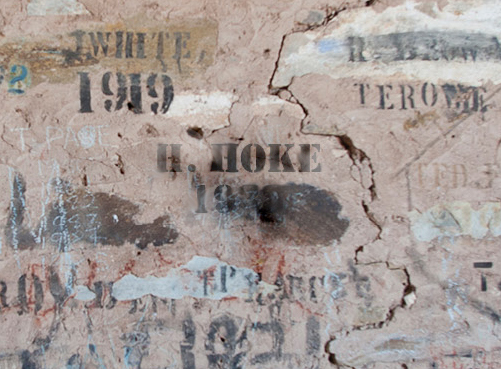 Photos taken in a remote shearing shed prove definitively that Henry really did work in the shearing industry- these stencilled letters which spell out his name on the shearing shed wall are part of a longstanding tradition when a shearing season comes to an end. The exact year of the stencilling is unclear. 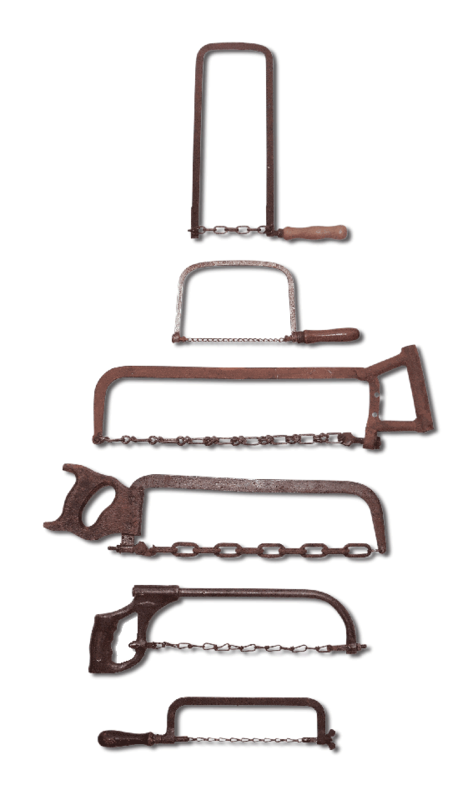 Henry Hoke was thought to have invented the now-common shearer’s pizzle guard. Any stories or anecdotes about Henry’s experiences as a shearer are always welcome. Despite our best efforts to consign Henry Hoke and his brilliant works to the great book of history, the old coot will not lay down and die! 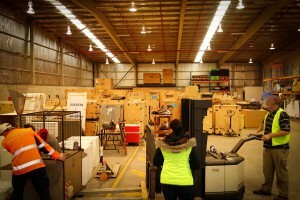 The Lost Tools of Henry Hoke exhibition continues to tour to regional South Australia throughout some of 2012 and negotiations are underway for the exhibition’s location to Canberra in 2013. 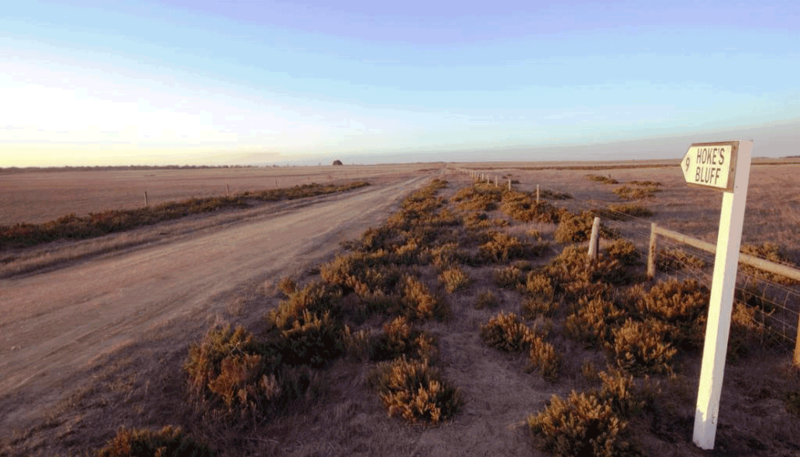 In the meantime the exhibition will be touring in regional SA – Roxby Downs from April 18 to May 27, Port Lincoln from June 13 to July 15 and Goolwa soon after that. 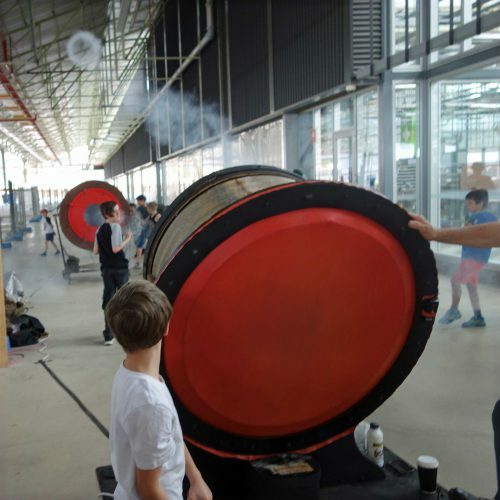 Henry will be amongst a collection of science fiction persons as part of “Powered by Fiction: Artists, Makers, Tinkerers and the Backstories that Inspire Them to Create, presented by Intel in The Design Gallery. Sadly, pressure of work here at the Institute prevents Research Director Mark Thomson from attending and setting them straight. 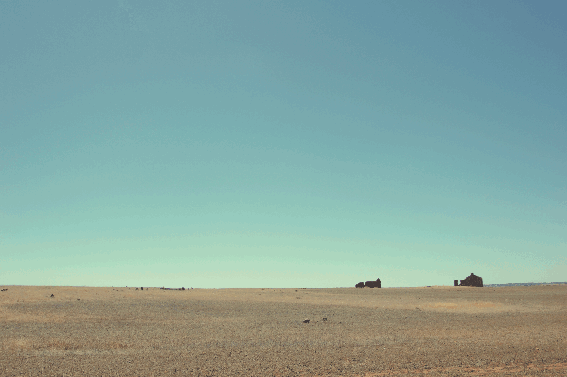 What do we know about Henry Hoke? Contemplation of Henry’s work always provokes thought: indeed, profound thought. What is this widget really for? What was he thinking when he made this? Why bother? What is the point of anything? Henry Hoke was (potentially at least) our own Thomas Edison, never fully recognised … but right to the end, he was a sceptically thoughtful yet energetic man whose activities ranged far and wide across the broad fields of human endeavour. I believe that for his colossal efforts Henry deserves, at the very least, a dusty, inconspicuous corner in the Temple of Fame. Henry Hoke’s life promised so much yet the specific details often remained elusive: the few scraps that remain are like the glimpse of magnificent vine-covered ancient ruins through a dense jungle. They tantalise us and pose more questions than they answer. 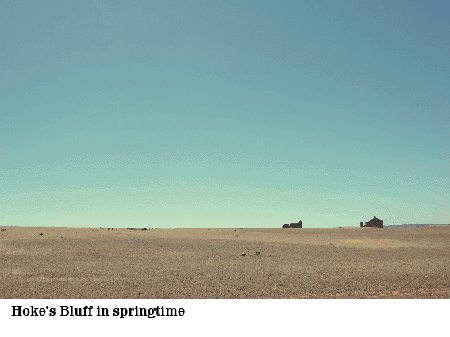 We know, for instance, that he was raised in the small town of Hoke’s Bluff, now a ghost town – sometimes there, sometimes not. His father, Silas Hoke, was the town’s pharmacist and librarian and of slightly sinister character. His mother Beryl was a leading figure in the Ladies’ Blacksmithing League, an organisation described as midway between the Hell’s Angels and the Country Women’s League. It is almost certain that Henry gained his early mechanical and metalworking skills from his accomplished mother.We know that he worked for a period in the Merchant Marine and as an automotive mechanic and a shearer. Despite our painstaking forensic reconstructions and laborious research, the mighty jigsaw that is Henry Hoke still has many empty spaces. It is time to redress the outrage that we have, until now, neglected a true prince of inventiveness in our midst, a man whose life’s work towers above us like a monument to colossal pointlessness. I leave you to reach your own conclusions about Henry Hoke’s astonishing life and work. I’ve got no idea. Readers are encouraged to help fill in any details they might of Henry’s lfe and activities by clicking here. Watt, Boulton, Tesla, Stephenson, Whitworth, Edison… a few of the great engineers and inventors who were the giants of our technological history. The time has come to add another name to that stellar gathering: Henry Hoke. 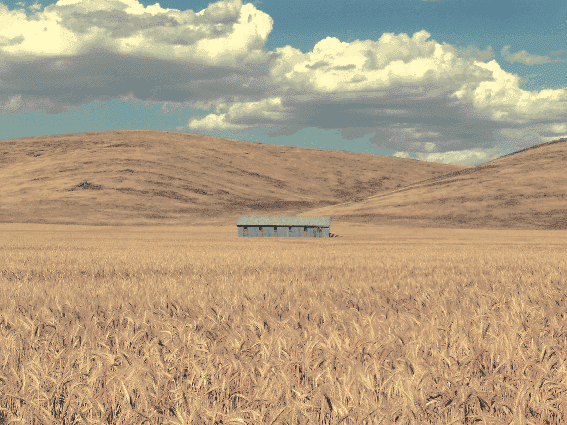 Throughout much of the twentieth century, in an isolated workshop on a dusty windswept plain, Henry Hoke labored mightily to conceive a string of dazzling inventions that, to this day, still defy the imagination. Culminating in his extraordinary masterwork, the Random Excuse Generator, Henry churned out breakthrough after breakthrough in his shed. 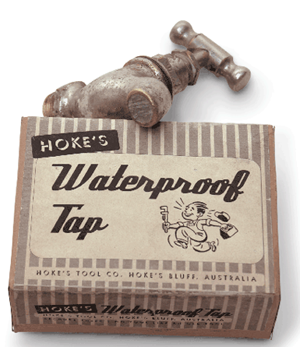 Hoke’s Waterproof Tap, his Wooden Magnet, his Long Weight, Hoke’s Dehydrated Water Pills, to name but a few, have now almost vanished from the public gaze. And whatever became of Henry’s clockwork car? Dark “big money” forces seem to have guaranteed its “disappearance” and all the remains is the Giant Windup key… at a time when the world is crying out for a replacement for the increasingly unsustainable internal combustion engine. It is Hoke’s Random Excuse Generator that remains his most illustrious and even disturbing invention. 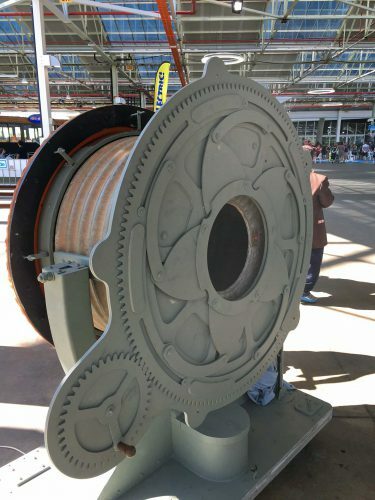 What was the role of Refined Bulldust in this amazing device? Was it, as Henry seemed to hint towards the end of his life, “the answer to just about everything”? Or perhaps the answer lies in the slogan of Henry’s company: “There’s no tool like an old tool”. The full story is to be found in the excellent book “Henry Hoke’s Guide to the Misguided” published by ABC Books and available by clicking this link. 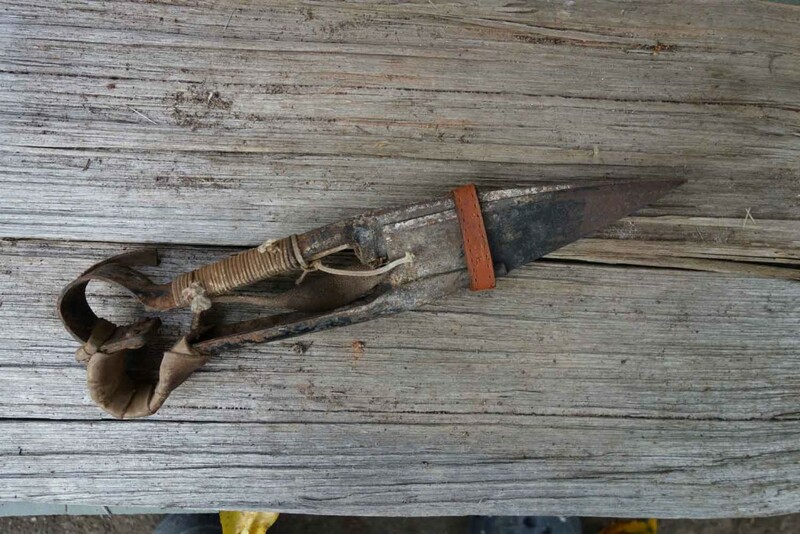 The Institute of Backyard Studies has devoted many years of research into Henry Hoke’s life and works, and with the aid of like-minded colleagues around the country and, indeed, around the world, has recommenced some limited commercial operations of Hoke’s Tool Company. 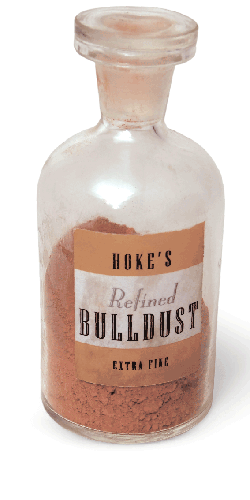 We are pleased to offer a very limited number of his tools and inventions – Hoke’s Wooden Hammer, Hoke’s Dehydrated Water Pills and in some cases, the containers they came in, such as Henry’s prepackaged Sparks for Spark Plugs, Hoke’s Smoke Hammer and several others. Keep an eye on the Online Shop for the availability of these rare artifacts, some of which we will be able to offer for sale in the near future.